As one of the global leaders in the elevator and escalator industry, KONE adds value to the lifecycle of any building, including the airport terminal. The company is exhibiting at this year’s ACI Airport Exchange, where it will introduce the KONE 24/7 Connected Services for airports, a service that offers customers new levels of safety, transparency and intelligence for maintenance services, and will showcase its vision on what tomorrow’s people flow will look like. 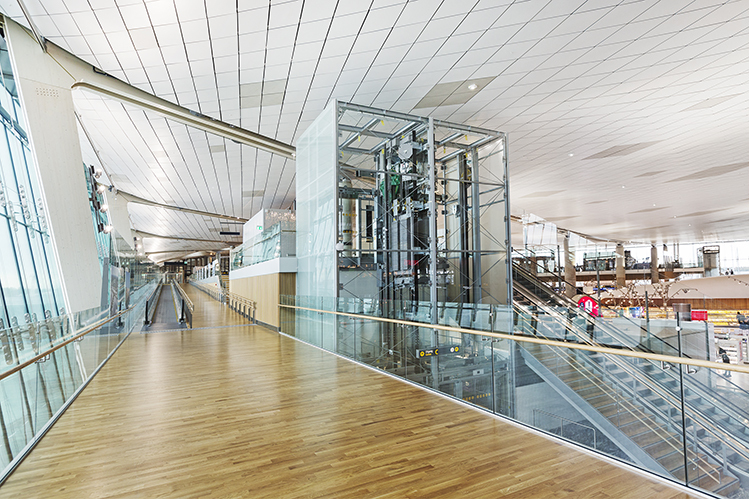 KONE played an integral part in the development of the people flow in Avinor Oslo Airport, by integrating 69 different pieces of equipment in the new Oslo Airport, including elevators, escalators and autowalks. KONE played an integral part in the development of the people flow in Avinor Oslo Airport, host of this year’s ACI Airport Exchange. In total, 69 different pieces of equipment have been integrated in the new Oslo Airport, including elevators, escalators and autowalks.